2020 Sep 06	Mars (-1m.9)	Time of conjunction: 04h 46.1m U.T. This occultation in the morning hours will be visible from southern Portugal only. 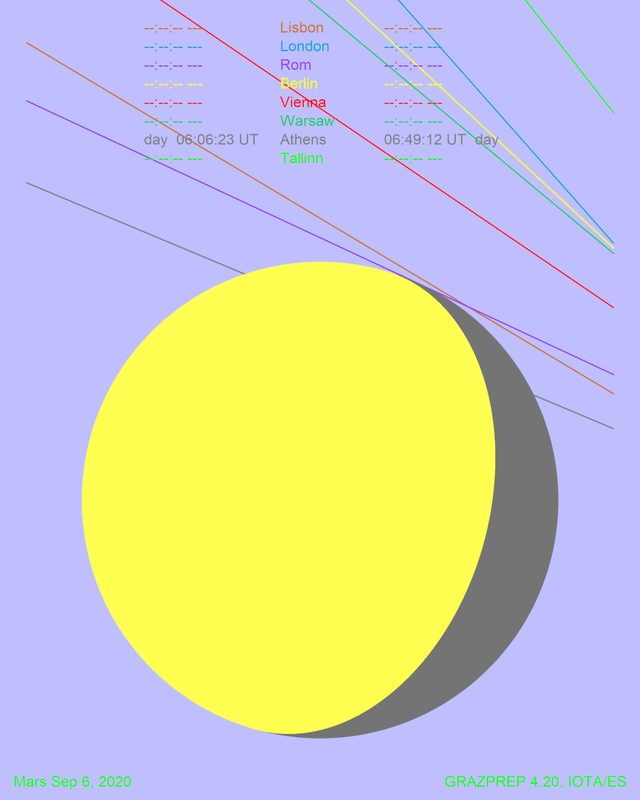 At this location the sun will be just below the horizon and a twilight graze at the northern lunar limb can be observed on a line from Elvas and Setubal, Portugal. Observers in Lisbon can observe a very close conjunction of both celestial bodies.